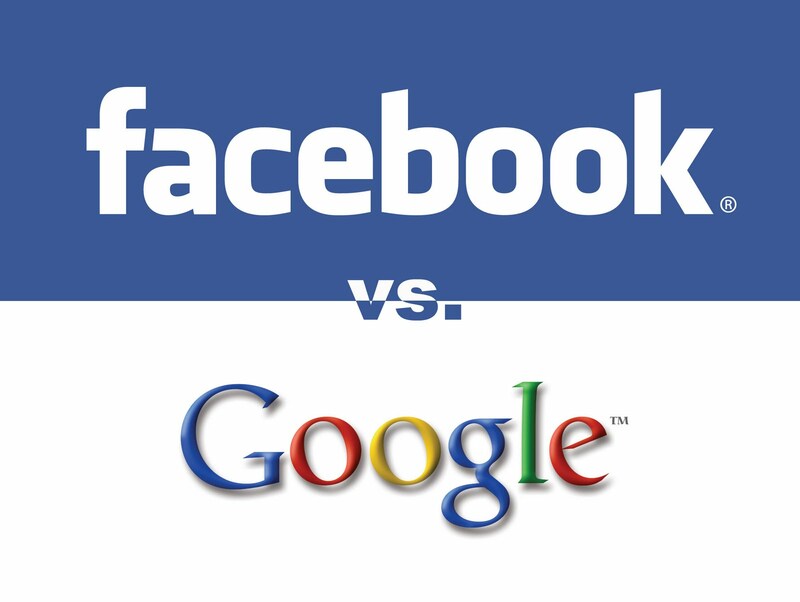 Facebook Advertisements and Google AdWords are both very effective ways of advertising your business. There is no right or wrong with deciding one over the other, as really it depends on your goals as a company and what you are looking for. While they both advertising options have similarities, they have huge underlying differences that must be considered. In this post, we'll mainly be concentrating on Facebook. Facebook advertisements are best for creating awareness and interest in your company. The biggest asset to Facebook Ads is that you can target your advertisements based on demographics (age, language, gender), location (country, state, city, region), likes and interest, and work and education (including schools, majors, and graduation dates). 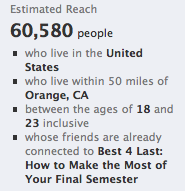 And here's the best part: Facebook actually tells you how many people your advertisement will reach. Facebook (and Google) are similar in that you can set your own Cost Per Click (CPC) and a Daily Budget. No matter what, you will never have to pay more than the budget set per day. Your CPC acts as a maximum bid. 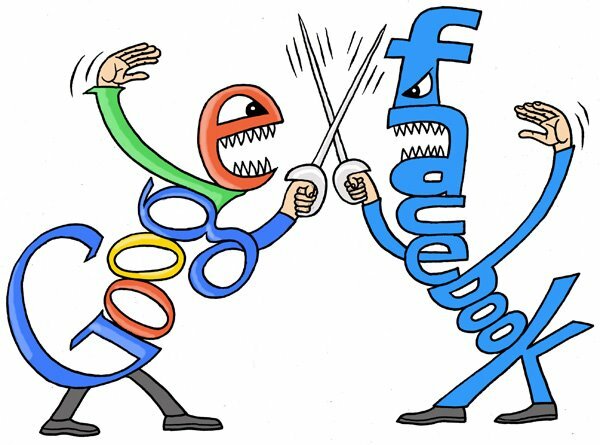 In order for your advertisements to be shown on Facebook and Google, you must win the "auction" against other advertisements who want to be shown at the same time or place. Both systems will give you recommendations on how much your CPC should be based on when and where you want your advertisements to be placed. Usually, you will not have to pay the maximum bid, unless it is a highly competitive time of the day or target demographic. One option that Facebook has that Google does not is that you can pay per CPM, or cost for every thousand times your advertisement is shown. This option is better if your company objective is brand awareness. Additionally, Facebook allows you to be specific in scheduling advertisements. You can target people on their birthdays, show advertisements only at a specific time of the day, or have them run continuously. Both Facebook allows you to track your progress with tables and graphs. You can view advertising performance, responder demographics and profiles, conversion tracking tools (how many people who view your advertisement actually purchase something from your website), and more. The general Facebook advertisement can advertise a website, a page, an event, a group, or an application. It is composed of a headline, an image, body text, and social context (whether friends also "like" this page). Headline: Use your company or product's name, a strong call to action, or target an interest. Image: Use attention-grabbing, colorful images that describe your company, product or service. Horizontal pictures are best. Body Text: Clearly describe your product and service, show discounts or benefits from being a Facebook fan, or encourage a strong call to action. 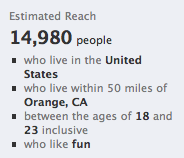 First, when you start to have a decent group of "likes" on your Facebook page, target advertising to your fans. This will encourage fans who have gained an interest in your company to actually take an action. For instance, encouraging fans to purchase a product with a 20% discount just for being a Facebook fan. While Friends of Fans works superbly for consumer products, events, and targeting in local areas, it is not the best option for B2B businesses. Interest targeting and work targeting work better in these scenarios. It is a good idea to test out several different advertisements for the various products and services you offer. You'll have a better idea of which targets respond better, which advertisements are more attractive, and be able to optimize your clickthrough rate (number of clicks divided by number of times your ad is viewed). Remember, while Facebook Ads create decent conversion rates, Facebook generally attracts more awareness and interest of your company, products, and services. As we will talk about next, Google is better for generating desire and action.